Have you ever noticed how people talk about their marketing in “this” or “that” terms? As in, social media OR email marketing... and no in between. But that doesn’t sound right to you, now does it? Of course not! The two go hand-in-hand and I can promise you that when used correctly, they are one of the most effective marketing tactics your business will have. I mean... how can that NOT make you want to do a happy dance? And yet, I talk to so many people that only post sporadically on social media, with an almost non-existent email marketing plan. That needs to change! In case you’ve been living under a rock for the last 5-10 years, I’ll let you in on a little secret: CONTENT IS KING when it comes to getting visible. Without a doubt, you need to post quality content across all of your platforms that engages readers and adds value to their own lives. Think of social media as the first date with a potential client/customer. Email marketing is the second date - you know, the one where the person decides you’re interesting and they want to learn more about you. Makes sense...after all, people need to see things approximately 8-10 times before jumping on board. Think of your own life - have you ever bought something without doing research first? The same is to be expected- and respected- of our customers or clients. Introduce them to your business, a new product or must-have service via social media and then cultivate the relationship through subsequent email conversations. I know what you’re thinking… I don’t have enough content to continuously share. Don’t overthink this part. You probably have a treasure trove of great content and don’t even realize it. This seems like a no-brainer, but you’d be surprised how many people don’t share links to other channels and platforms. By adding a simple social media link in your email signature, you’ll give anyone you communicate with easy access to your social media channels with just the click of a button. Don’t be afraid to let your audience know what signing up for your email list means - and how it’s going to rock their world in all the best ways! Simply explain the benefits and value of signing up… while ALWAYS ensuring that spam is never something to worry about from you. This goes back to tip #1… if you don’t think you have enough content, create an editorial calendar of topics that your people are interested in. That way you’re never at a loss for what to share. By communicating with your audience on a regular basis, you’re building a relationship that will lead to future sales. Of course, it’s important to strike a healthy balance between over-sharing and under-sharing - but the biggest takeaway here is that an editorial calendar will help you plan your posts (and the emails that correspond with them). That way you won’t ever have to worry about posting as you go (BIG NO-NO) or coming off as an automated robot to your followers. One more thing to consider: pesky algorithms on social media dictate who sees what and how often. Posting authentic content on a consistent and frequent basis will always help feed the algorithms, ultimately giving your pictures, videos and posts more visibility. Did you know you can actually target your audience based off of your email list? I like to think of this as “professional stalking”... but I promise it’s the kind you won’t get in trouble for. For example, on Facebook you can upload your email list into the Ads manager and create ads that target people on your list - or those with similar characteristics. LinkedIn Contact Targeting also allows you to target the people on your list with customized content. Marketing is all about curating content to fit your audience’s need - or better yet, creating content that addresses needs they don’t even realize they have. If you can do that, clients and customers will be drawn to you like a magnet. It goes without saying but make sure you know WHO your audience is. If you don’t, that’s the first step you should take before doing any marketing. And I have something that will help with that. My free virtual challenge Know Your TARGET will help you find your ideal audience and learn more about them so you can attract them to your business. The challenge launches June 4 - sign up today! Finally, don’t forget to make your CTA clear, concise and powerful! Your CTA should tell people what you want them to do immediately following your social media post or e-mail. People want to be told what to do. Make sure your CTA is consistent across all platforms. One strong CTA is better than multiple CTA’s (which will confuse your readers and cause them to lose interest). Ready to create a killer social media and email-marketing plan? 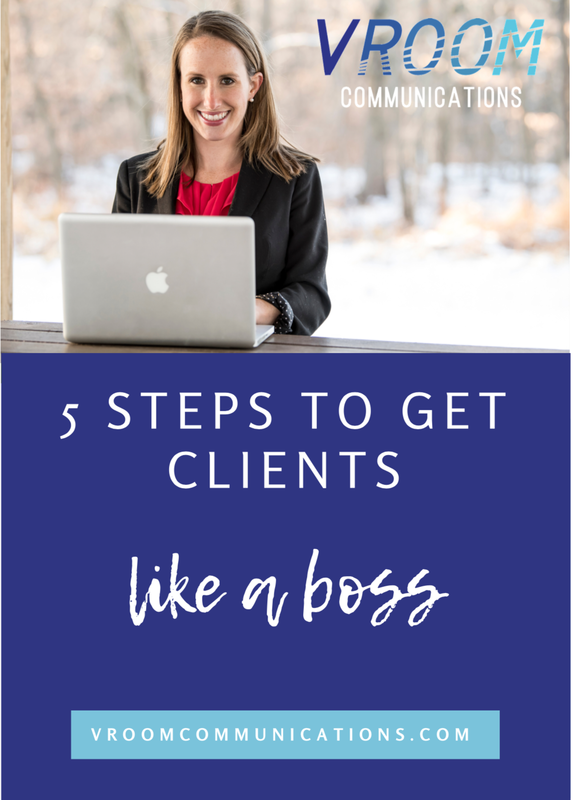 With these steps, you’ll build the groundwork for a long-lasting relationship with your ideal clients and customers. How have social media and email marketing impacted your business? Share your story below!